Good communication is essential for healthcare practice. It ensures the person is kept central to all decisions and empowers the individual by including their perspective in conversations. Effective communication should be clear, concise, and meet the needs of all persons involved. Augmentative communication techniques, for example, can ensure the process is open, two-way and inclusive, as well as being sensitive to the needs of the person. Communication styles vary among individuals with an intellectual disability. Some may have verbal language, some sign language and others use non-verbal communication styles such as gestures, vocalisations or even eye movements. However, overall communication can pose challenges for you as a health care professional and the person with the intellectual disability. We do know that communication challenges are extensive within the intellectual disability field. Individuals frequently have difficulty expressing their needs, putting words to what they are experiencing, reading signs, being misunderstood or being heard. It must be remembered that people’s level of intellectual disability or IQ level is not an indicator of their ability nor an indication of their capacity to communicate. Do not assume a person with an intellectual disability cannot communicate. 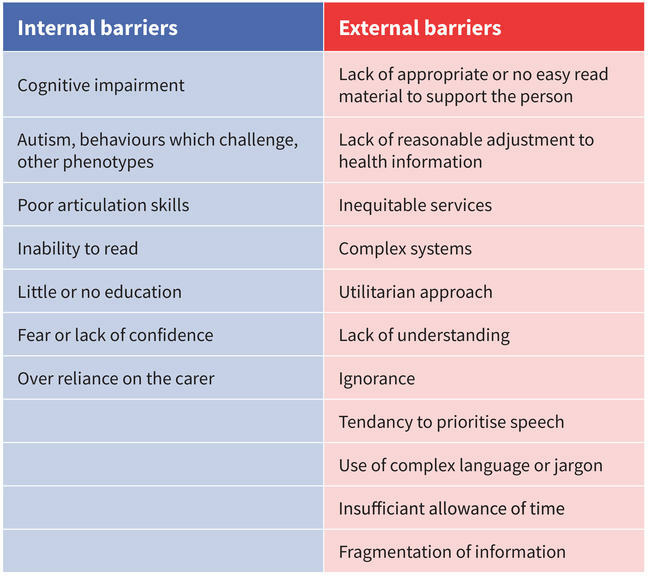 Barriers to communication impact on the ability of the person to navigate the many facets of life; from doing their own shopping, to attending a medical appointment. These barriers can be described as internal or external to the person. Building rapport and keeping the individual central to decisions. Actively listening by using all of your senses and giving the person your full attention. Don’t forget, you communicate more through non-verbal means than through the spoken word. So, being sensitive to non-verbal language, feelings and displaying empathy builds the relationship of trust with the person. This can show the person with an intellectual disability you are keenly interested. We will be exploring this in more detail later on this week. Take some time to review these key communication skills. Allow time to have a conversation with a person with an intellectual disability. Not being rushed and not rushing the person are key to ensuring an appropriate pace. Recognising and flagging the need for reasonable adjustment instead of allowing the need for adjustment to arise speaks volumes for a positive approach. It also focuses on the communication need itself, rather than highlighting the impairment. Being person-centred demonstrates that you are serious about getting it right, and you want to build and sustain patient involvement. 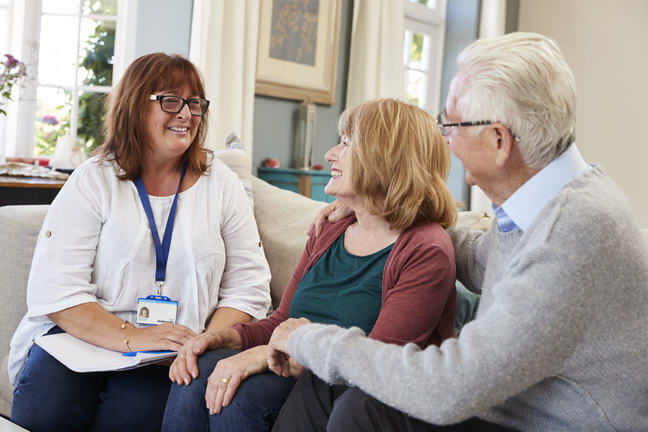 Person-centredness is about keeping the person with the intellectual disability at the centre of all communication, decisions, and planning, and ensuring they are consulted throughout their journey through the health service. 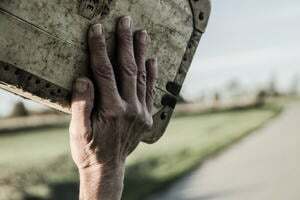 Although there are many barriers, overcoming them is possible. Building rapport, working with the person and ensuring they are included bodes well for your practice as a good communicator for people with intellectual disability. In the next video, we will be listening to the experiences of people with an intellectual disability communicating with the general public.